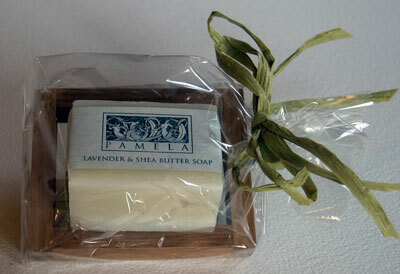 Contains one bar of your choice of Pamela Soap with a teak soap dish wrapped in cellophane and tied with a ribbon. Makes the perfect gift! 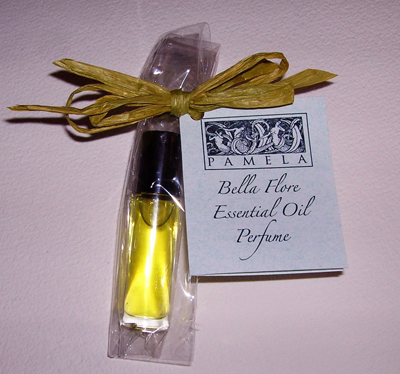 Fresh and uplifting as a spring morning, enjoy this essential oil perfume for the aromatherapy benefits of the essential oil and the revitalizing scent. This perfume is calming, refreshing, and balancing while dispelling stress, depression, and anxiety. Contains jojoba oil scented with lavender, bergamot, and sweet orange essential oils in a roll on bottle. Use one quarter cup herbs in quart of water of boiling water for an cleansing herbal steam or use one cup of herbs in boiling water for an relaxing herbal bath. 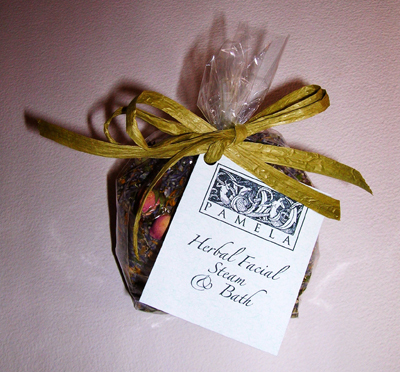 Contains lavender, mint, calendula, chamomile, rosemary, and rose, the perfect combination for beautiful skin. 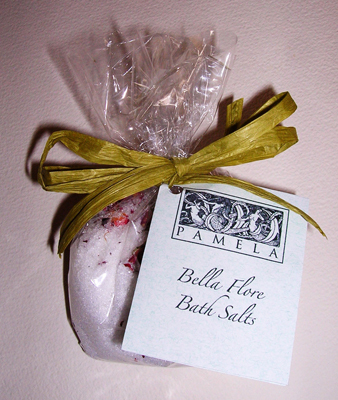 Contains one bar of your choice of Pamela Soap with a teak soap dish wrapped in cellophane and tied with a ribbon, bath brush, one additional bar of soap and one package of three guest size soaps. 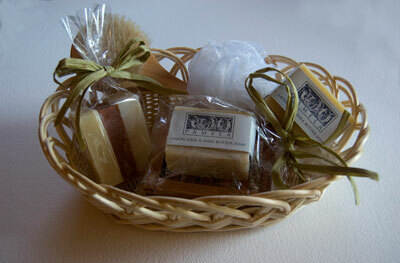 This is an exquisite gift basket and will be received with much appreciation.